Christmas has always been special to cake decorator Mattie Eash, who was born on the wondrous holiday. Yet the season has lost its appeal in the three years since then, her childhood sweetheart abruptly ended their engagement on Christmas Eve. Mattie has moved on, left Apple Ridge, Pennsylvania and pursued her dreams of a cake shop in Berlin, Ohio and given her heart to someone new. Someone unlike Gideon Beiler. Someone safe. Then an unforeseen setback forces her home and into painful proximity to Gideon. Will learning the truth behind his rejection restore her Christmas joy—or open the door to even deeper heartbreak? 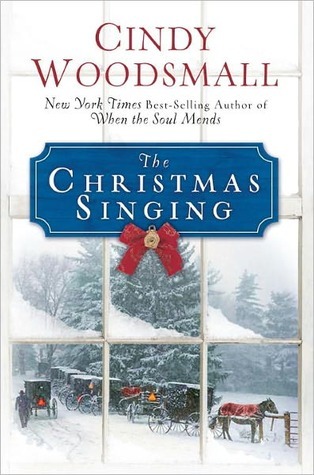 Cindy Woodsmall does a wonderful job creating an excellent story in so few pages. The characters are likable and although the story was predictable- that didn't take away from how enjoyable it was. This would make an excellent stocking stuffer or present for a family member or friend.